Was für ein wunderbares Geschenk habe ich kürzlich erhalten!? Diderots Enzyklopädie von 1762-1777 mit über 3000 Kupferstichen – ein systematisches Lexikon über Wissenschaft, Kunst und Handwerk dieser Ära. Absolut phantastisch – sehr inspirierend! What a great gift I received lately. 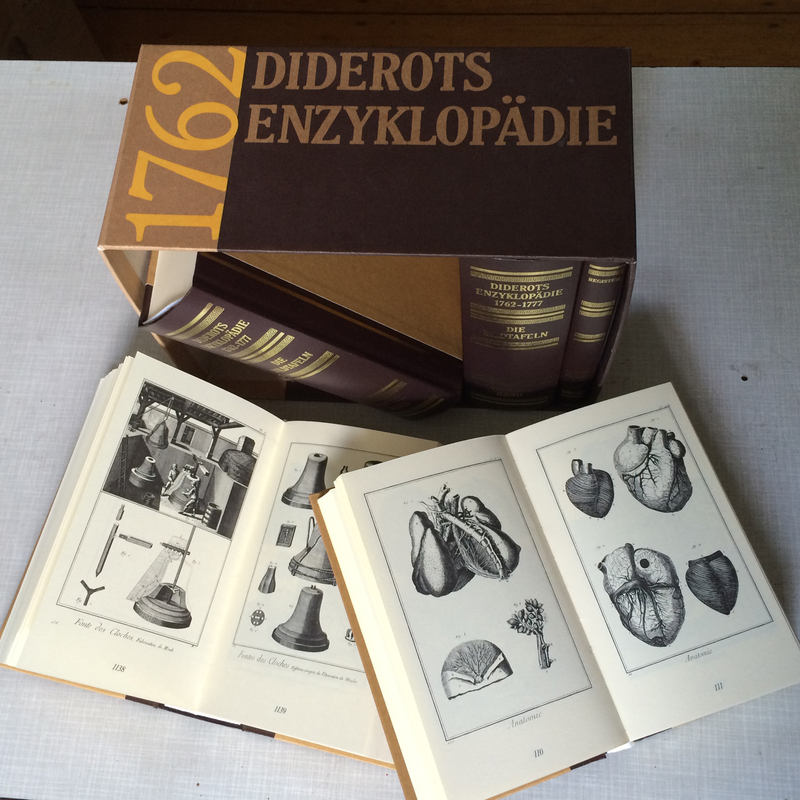 “Diderots Encyclopadia” from 1762-1777 including over 3000 copperplates – a systematic dictionary of the sciences, arts and craft from this era. Absolutely fantastic – very inspiring! Can’t wait to see what you make out of the 2 last themes! Both are beautiful the ‘finding’ as well as the ‘present’! One of the first collages I did out of Diderot is the following one – “Test”. The cards are still “sleeping” in my project-file. ganz, ganz großartig. ein echter schatz! !